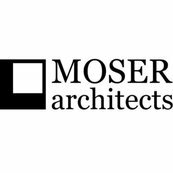 I can't say enough about working with Sarah and Moser Architects. Precise. Creative. Thoughtful. Holistic. But also fun, honest and realistic. She has made what can and often times is a really difficult experience enjoyable. She is generous with her time and incredibly innovative. She talked us out of making some bad decisions and steered us in a direction that ultimately we were so incredibly thankful for and delighted with the results.